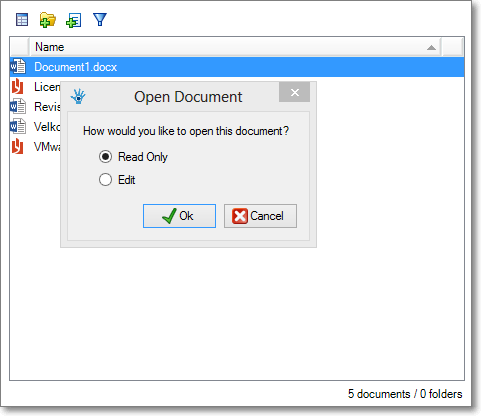 Enhanced open document dialog – Welcome! How can we help? Choose to open your documents from WorkPoint Express in read-only or edit mode. Open a document by double-clicking the document, then choose if you wish to open as “Read-Only” or in “Edit” mode. If you choose “Edit” mode, the document will automatically get checked out to you.